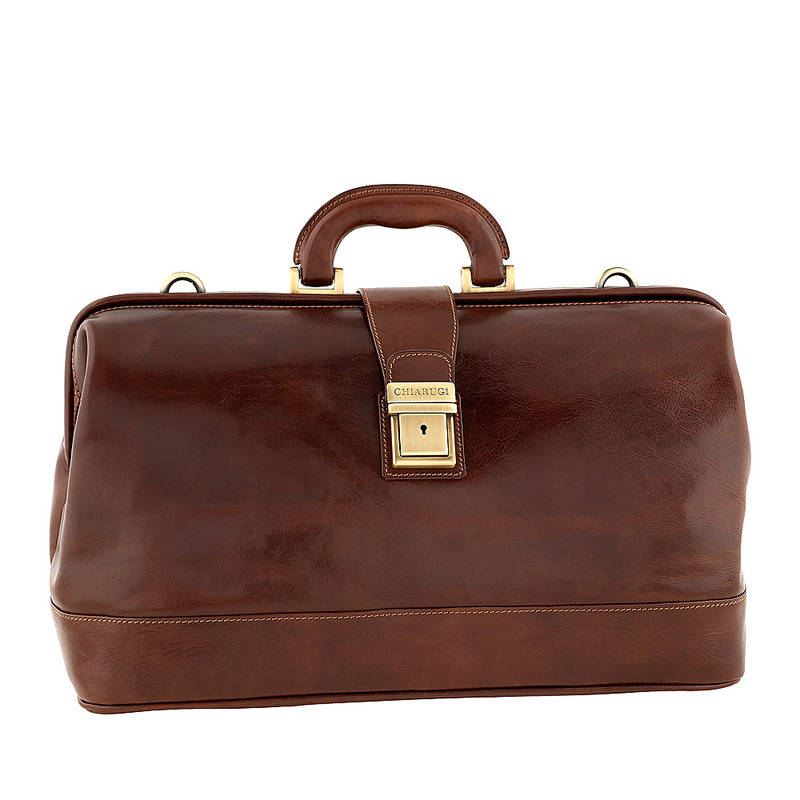 Mercalli is a full grain brown leather doctor bag, an inseparable working companion, finely sewed and realized according to the ancient traditional leather processing system of the leather district in Tuscany. 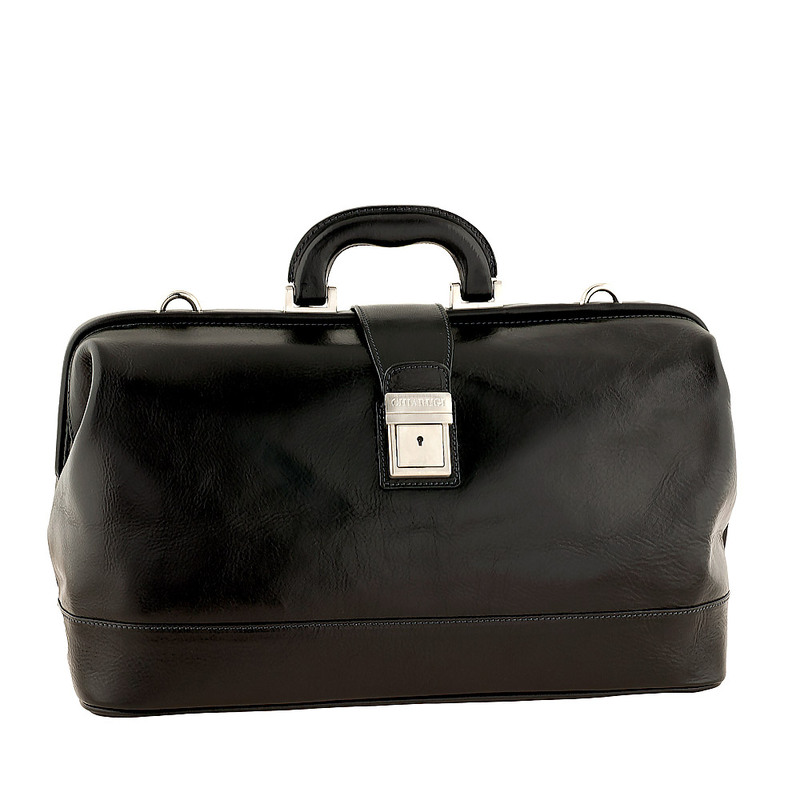 With its classical bowler shape and rigid structure, which inspire professionally and rigor, it's either carried with the leather handles or wearable with the more practical leather strap, which is equipped with a sliding larger leather band designed to better distribute the instruments' weight. Lifting the silver satin finish key locked closure, an ivory leather lined single compartment where to place your working instruments like healing kits, medicines and other. The internal big zipped pocket is ideal to place documents, whereas the pen pouches and the two open pockets are the perfect spot for your glasses, keys and other small instruments.